A maze constructed on a sunflower field at the Okinawa Prefecture Peace Memorial Park opened on Mar. 11. 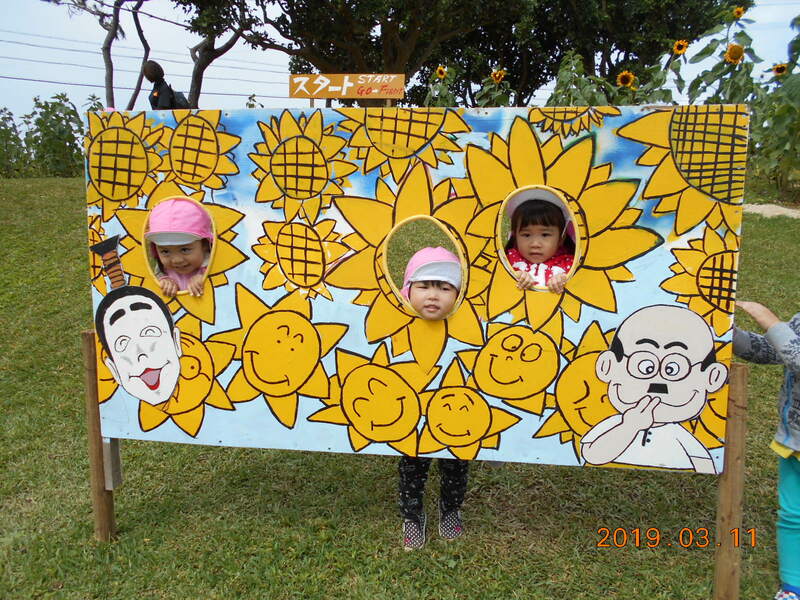 The maze is an annual project by the Okinawa Prefectural Peace Memorial Foundation and has been grown every year using sunflower seeds from the Fukushima Prefecture after the devastating Great East Japan Earthquake and Tsunami eight years ago. Of course, the Okinawa Peace Memorial Park is dedicated to the victims of the Battle of Okinawa 74 years ago. There are memorial towers all over Japan commemorating the bitter battle on Mabuni Hill in Itoman City, aiming at preserving the memories of the misery of war to future generations. On the other hand, prefectures in the Tohoku region centering on Fukushima suffered unprecedented damage by the Great East Japan Earthquake and the tsunami it caused, and the restoration work of the region is still ongoing. There is, of course, a difference between war damage and natural disasters, but the common point is that a lot of precious life and valuable property were lost. So, the foundation wanted to create a way to express condolences to victims of that disaster. As a result, the foundation received seeds of sunflower that were grown in Fukushima prefecture and created a park dedicated to supporting the restoration and creating and strengthening lasting bonds between Okinawa and Tohoku to keep the memory of war and the earthquake alive. The sunflower maze opened the same day, Mar. 11, as the earthquake happened and has been opened every year since. Children from a nursery school near the park enjoyed exploring the maze. 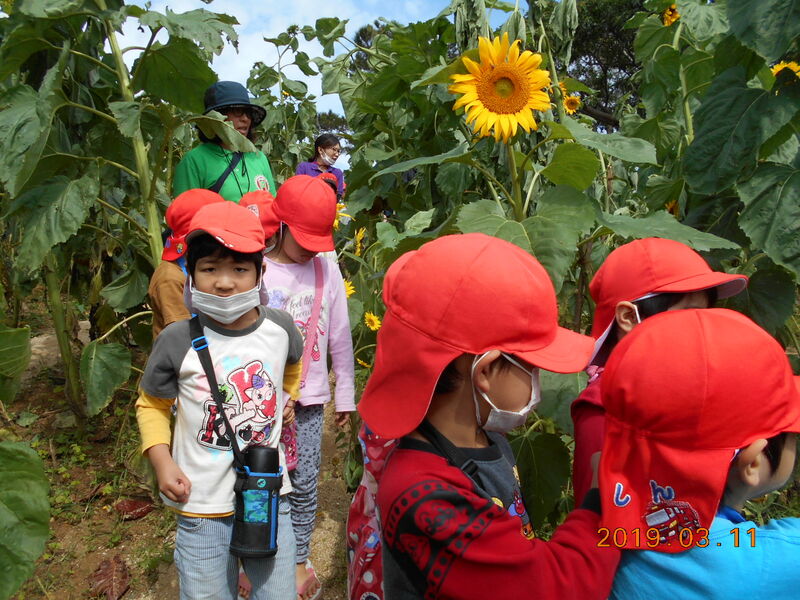 At the opening event this year, children from a nursery school near the park came to enjoy exploring the maze. The maze is grown on a site of about 700 square meters with about 5,000 blooming sunflowers forming the maze. It’s located next to the north side parking area of Memorial Park. Everyone is invited to visit, and the admission is free. The maze is open from 8:30 a.m. to 5:30 p.m. every day through April 11. However, the closing date could be extended or shortened depending on the sunflowers’ blooming status.